FIVE-STARS: “As someone who is new to investing in stocks (other than a retirement plan), I found this book to be written in plain language and easy to understand. The author does a great job teaching the reader about investing lingo and concepts while providing a lot of practical advice and resources. Definitely recommend to anyone new to the stock market.” This book is the “myth buster” for stock market investors. No PhD-talk and math needed. Learn to create a second income now, cut years off your retirement age – and all while keeping your money where you can use it when you need it. A powerful plain-language guide with time-tested strategies that work. See how to compound your savings with stock dividends, how to buy stocks at zero commission, avoid beginner mistakes, and have lessons from the masters at your fingertips. A 3% return bank CD takes 24 years to double. A 12% return on stocks is over 400% faster! The stock market is one of the few accessible and reliable paths to build financial freedom left. This book cuts through the noise, busts the myths, and points you directly to financial freedom. This book has real examples, with real prices and real stocks like: Apple, McDonalds, Disney, Facebook, General Motors, Johnson & Johnson, Coco Cola, and more. 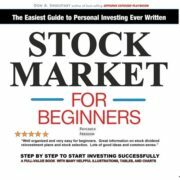 “A great beginner’s guide to all things stock market and investing. As a total novice to this field, I found the book devoid of much of the fluff of other books in this field. 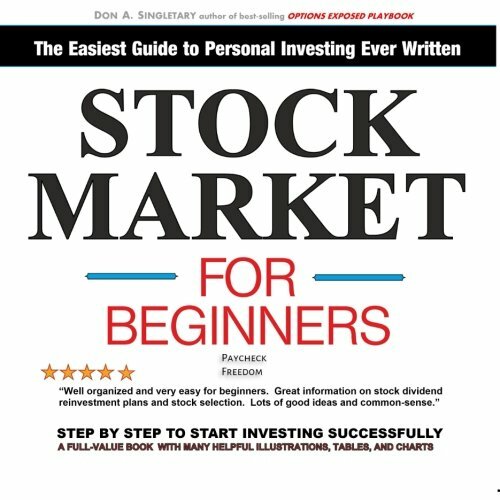 A great intro guide (and strategic manual) for stock market success.” – a recent verified purchaser comment. Financial security is not what happens at retirement age. It should start as soon as possible, and last a lifetime.